Thirty two years ago I stood with that audience applauding until my hands were swollen and yelling bravo until my throat was sore. I have never before or since experienced such an electric 4 hours in the theatre and I have seen some of the great stars and shows from Brando in “A Streetcar Named Desire” to Richard Kiley in “The Man of La Mancha”. The closest I ever felt like this before was the first time I saw “A Chorus Line” from the second row of the mezzanine at the Shubert theatre 7 years before. The morning started off with Bob banging on my hotel door yelling for me to get up that we had to go rent tuxes! Buddy Vest, who had played Zach in the road company, was able to get us 2 tickets for the dress rehearsal of “A Chorus Line” becoming the longest show on Broadway which would be celebrated that night. (It still holds the title of being the longest running AMERICAN musical on Broadway.) As far as I was concerned, after seeing the ‘rehearsal’, that was the 3,389th performance not the one that evening. From the opening number to the finale the director/choreographer Michael Bennett, who conceived the whole idea of the show, interviewing chorus people, remade “A Chorus Line” for these two performances. 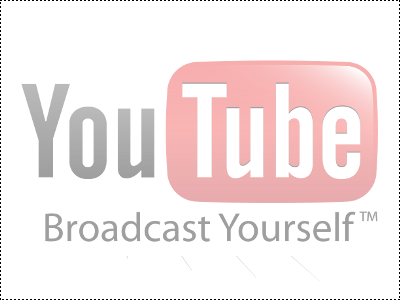 It was 4 hours of pure exhilaration with the over 300 cast members, close to 1,500 audience members in addition to all the backstage people and even the NBC television crew becoming one. Normally “A Chorus Line” runs 2 hours and 10 minutes but due to prolonged applause with each number, which included Bennett’s ‘magic’, plus “forcing” (HA!) all of us to stay so that NBC could film a repeat of the finale we spent 4 hours in the Shubert Theatre on that history making day. 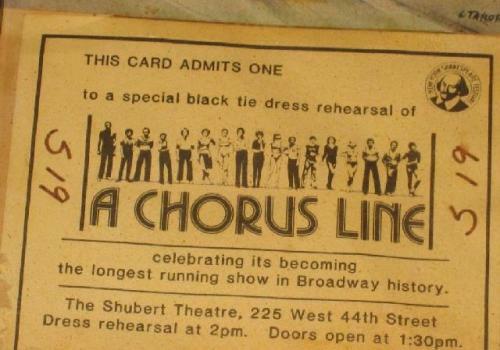 Having seen 101 different productions of “A Chorus Line” (I was a ’groupie’ for a number of years following it all over the USA!) that and the first performance I ever saw are etched in my mind. Just looking at the video clip above I get all teary-eyed and though I have enjoyed shows since not a one comes even close to bringing the emotions to the fore as that did and does! 1. The ‘Magic’ ticket 2, 3,4 & 7. Buddy, Bob and me 5. Special Playbill 6. After the performance 8 to 15. Various posters and memorabilia 16. For my 19th Leap Year birthday I went to see Donna McKechnie’s one woman show and attended her ‘class’ the next day. For those who don’t know she originated and won a Best Actress in a musical Tony award for the role of Cassie in “A Chorus Line” at one point commanding the stage alone singing and dancing for 8 minutes to “The Music and the Mirror”.